FIND THE PARTS OF THE FACE . Body Parts and Past Tenses. English with John Galsworthy. The Forsyte Saga. 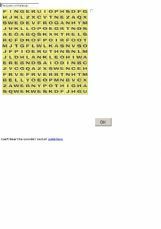 This is a listening exercise to revise such topics as Body Parts, Prepositions and Past Tenses (Past Simple, Past Continuous and Past Perfect), based on an extract from John Galsworthy�s novel The Forsyte Saga. Pupils should read the text and choose the necessary tense forms and prepositions, after that they should listen to the recording and fill in the gaps with missing words. This is a great game to help you revise illnesses in a fun way. Enjoy! 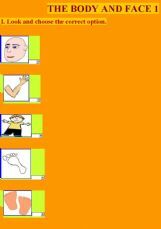 Parts of the body and face vocabulary words.